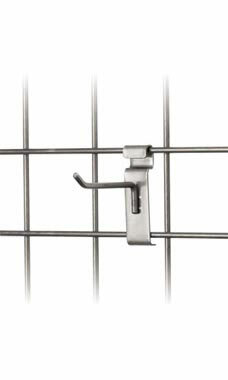 Maximize the amount of space that you have available on your Gridwall with this Peg hook. Measuring 4” in length, this hook is great for supplying pre-packaged items or light weight products. This length works best for thin items and could also be used in display presentations that will keep your customers interested. This hook comes in a sleek raw steel finish that matches perfectly with the rest of the Raw Steel collection! In stock and available for immediate shipment.